I will be hosting two Quilt-a-Long Programs this year! 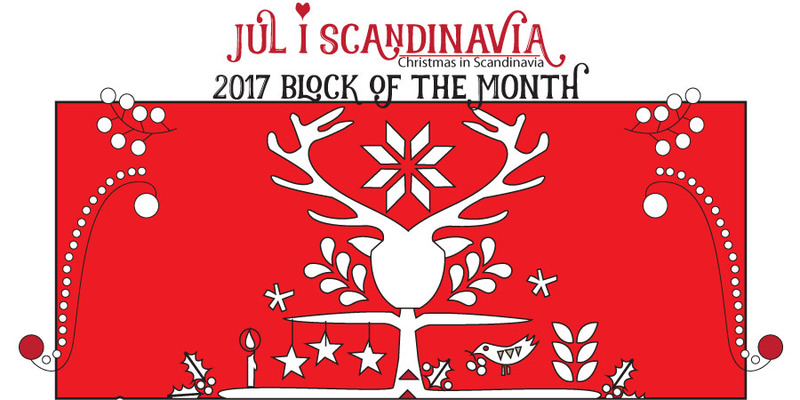 One will be a traditional Block of the Month (announcement coming soon) and one will be a Christmas Quilt! 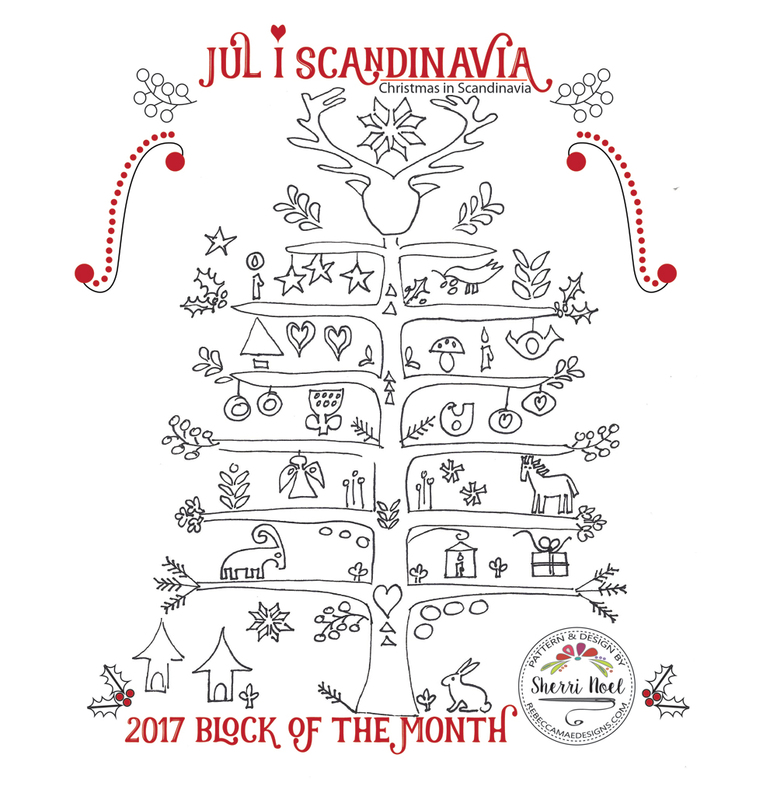 Jul i Scandinavia is an applique quilt measuring 32″ x 40″. I will be making my quilt on a red flannel base using primarily white wool for the applique. Instead of receiving a block each month, you will receive the applique templates for a branch or section of the project. Please be aware that the image shown is a rough draft of the pattern and may change slightly. I’d love it if you joined in! in My Shop -or- on Craftsy. You will be emailed monthly with the pattern information and templates to date. Here’s a Q & A to help answer questions ~ If I miss something and you ask a question in the comments I’ll add the answer to this post, so check back. Will you be posting progress on rebeccamaedesigns.com? Yes, I will post pictures monthly with my progress. What will I need for fabric? I will be providing a supply list in January. The background base I will be using for my sample is red flannel. I will also be using some red wool and decorative ribbon to embellish the base. The applique shapes on my project will be almost entirely white and made of primarily wool with some velvet and cotton accents. What other supplies will I need? Your supply list will include some optional embellishment supplies. For example, you might want to have a variety of threads for decorative stitches including perle cotton and embroidery floss. Please note that I will not be including stitch instruction with the pattern, but I will make note of some of the stitches I’m using as part of my monthly posts. The size of the finished quilt is 32” x 40”. When will the program wrap up? I will deliver the final pattern download in November so that you may finish and enjoy for the 2017 holidays! I love it! It is on my “to do” list for 2017! 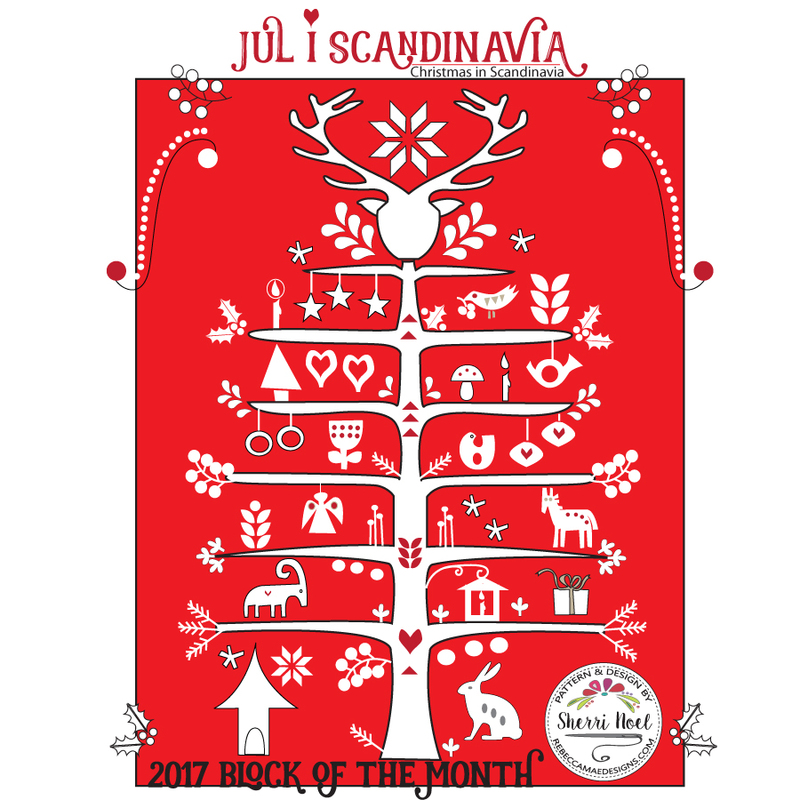 I am a full blooded Norwegian My grandmother came over from Norway in 1914 and married my grandfather who was already here. I live now in Racine WI but am originally from MN where they lived. Thank you for the cool patterns you design. Merry Christmas to you! Happy Holidays! I have learned so much from you. Wow!!! Thank you. My Dear Daughter quilt hides out well ..Not here I am saving it for a special date. I will for sure send you pictures. Thanks for the invite to your new adventure. I will keep my eye on it. Right now I am making my Christmas presents. I’ve always wanted to make a Christmas quilt! Do you know the cost yet? Do you pay monthly? Love it looking forward to starting. New to quilting ,have made only 3.really enjoy it Thanks from northern Calif.